Wonder Woman 2 Begins Shooting Summer 2018, Plot Confirmed? We've long been hearing that Wonder Woman 2 will be another period piece that takes place in the 1980s, with Princess Diana squaring off against a Soviet threat. That has seemingly been confirmed today by a new production listing. It also confirms the shooting start date. Wonder Woman is one of the biggest movies of the year. It became a true pop culture phenomenon when it was released this past June. And it didn't take long for Warner Bros. to confirm a sequel. Gal Gadot will return to reprise her role as the title character, and original director Patty Jenkins has made Hollywood history as the highest paid female director with her contract to return for this follow-up. Wonder Woman finally gave DC and Warner Bros. a reason to be proud, after Batman V Superman and Suicide Squad faced a critical lashing. Wonder Woman also proved that a female-led superhero movie could bring in big box office. And it broke ground where Marvel has feared to trek. Now that both Gadot and Jenkins are locked in, preproduction on Wonder Woman 2 is really starting to heat up. Patty Jenkins confirmed over the summer that she was already working on the new script with DC Films boss Geoff Johns, an acclaimed comic book writer who has begun to steer DC's massive ship in the right direction. 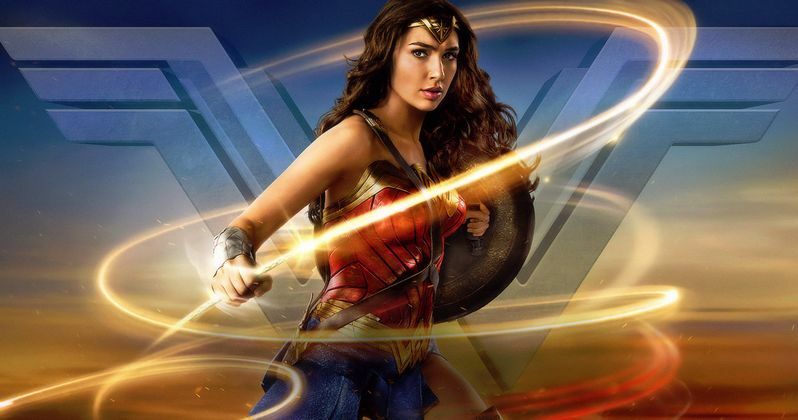 Early rumors indicated that Wonder Woman 2 will take place before Batman V Superman and Justice League, two movies that prominently feature Gal Gadot's hero. And this production update backs up that claim. It states the following. "The sequel will be a period piece, with Princess Diana facing off against the Soviet Union during the 1980s." Wonder Woman 2 will begin production sometime in June of 2018, according to the new report posted on Omega Underground. At this time, no production information has been released to the public beyond its start date. Updates should start to pour in now that Warner Bros. is locking everything into place. Though it's unclear if Jenkins, Gadot and their team will actually shoot on location in the Soviet Union, as there has been much friction between the U.S. and Russia over the past two years. Which makes the plot all the more timely. Chris Pine is rumored to return for the sequel, but that hasn't been confirmed at this time. It was announced earlier this week that Gal Gadot is in talks to star in director Justin Kurzel's World War II thriller Ruin, which, if her deal is finalized, will be shot early next year, before the actress gets to work on Wonder Woman 2. It's possible that Ruin could start shooting as early as January, with Gadot jumping directly from one project to the next, just as she did with the original Wonder Woman and Justice League, which didn't allow her to take much of a break. Ruin is set in the aftermath of World War II, and is a gritty period revenge thriller in the same vein as Inglorious Basterds and Fury. The story follows a "nameless ex-Nazi captain" who wanders through the ruins of Germany following the war's end. Wanting to make amends for his horrific war crimes, he decides to track down the surviving members of his Nazi SS Death Squad. Gal Gadot is the first cast member to come aboard. As for Wonder Woman 2, it will be /wonder-woman-2-release-date-december-2019/in theaters December 2019.